A particularly promising application is the solution of quantum many-body problems utilizing the concept of digital quantum simulation. Such simulations could have a major impact on quantum chemistry, materials science and fundamental physics. Markus Heyl, Max Planck Institute for the Physics of Complex, Dresden, Germany. 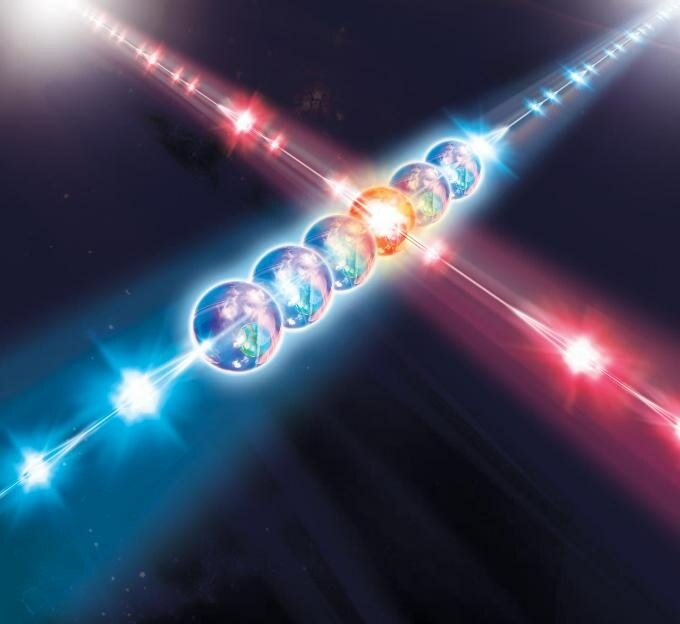 Within digital quantum simulation, the time evolution of the targeted quantum many-body system is achieved by a sequence of elementary quantum gates by discretizing time evolution, known as Trotterization. "A fundamental challenge, however, is the control of an intrinsic error source, which appears due to this discretization", says Heyl. Along with Peter Zoller from the Department of Experimental Physics at the University of Innsbruck and the Institute of Quantum Optics and Quantum Communication at the Austrian Academy of Sciences and Philipp Hauke from the Kirchhoff Institute for Physics and the Institute for Theoretical Physics at the University of Heidelberg they reveal in a new research paper published in Science Advances that quantum localization-by constraining the time evolution through quantum interference-robustly bounds these faults for local observables. "Digital quantum simulation is thus intrinsically much more robust than what one might expect from known error bounds on the global many-body wave function", Heyl summarizes. This sturdiness is characterized by a sharp threshold as a function of the utilized time granularity measured by the so-called Trotter step size. The threshold divides a standard region with controllable Trotter errors, where the system displays localization in the space of eigenstates of the time-evolution operator, from a quantum chaotic regime where faults amass quickly rendering the result of the quantum simulation useless. "Our findings show that digital quantum simulation with comparatively large Trotter steps can retain controlled Trotter errors for local observables. It is thus possible to reduce the number of quantum gate operations required to represent the desired time evolution faithfully, thereby mitigating the effects of imperfect individual gate operations." This brings digital quantum simulation for classically challenging quantum many-body issues within reach for present-day quantum systems.